Sign can be displayed on the lawn or inside a restaurant. 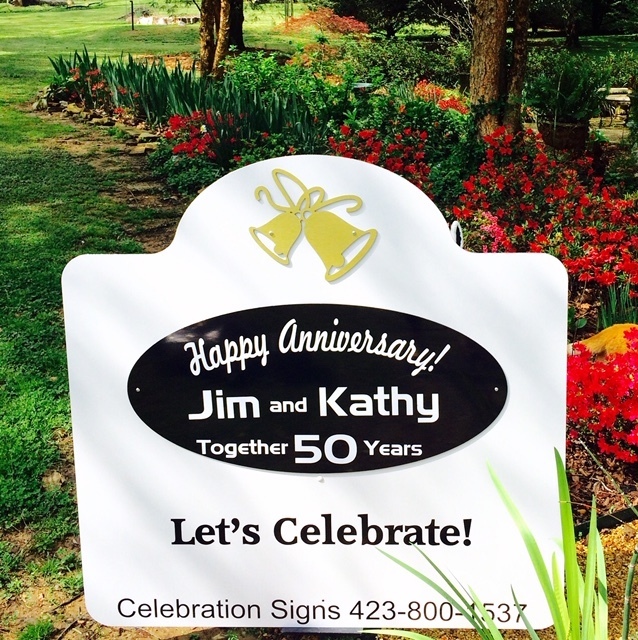 Our PVC Celebration Signs make a church reception or special dinner party for the couple even more special! For more formal occasions, use the large white signs. For a casual outdoor party or office party, use the flamingo. Price is the same for either: a three-day rental - $65.